I am so excited to welcome Simply Designing’s Featured Contributor, Rebekah from Potholes and Pantyhose today! I always am so inspired by her ideas and I hope you are too! So without further ado, here she is! 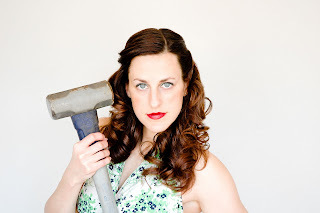 I’m Rebekah from Potholes & Pantyhose and I am excited to be a guest blogger today! I blog about my adventures as I tour with my musician hubby, my home life-which usually involves some type of remodeling project, my photography, and the ‘arts and crap’ that I happen to make. I try to maintain a somewhat normal life. However, normalcy keeps escaping me. 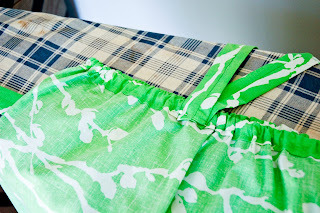 Today, I wanted to show you how to make a super easy Vintage Pillowcase Halter dress using an oversized pillowcase and a little bit of elastic. 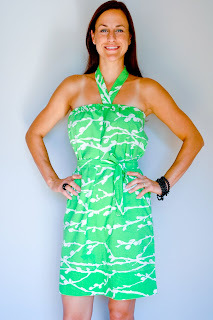 The dress is oh-so comfortable and best of all, it’s machine washable with no ironing needed. 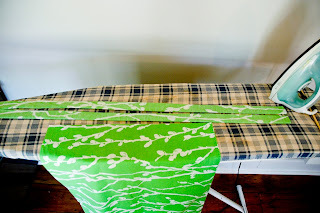 Cut the seam from the bottom of the pillowcase and fold over the material 1 1/2″ and iron flat. 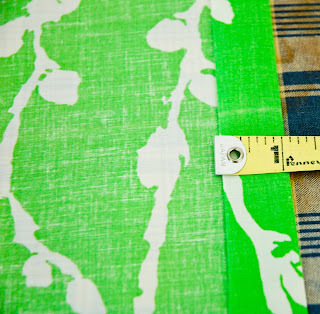 Next, cut the folded material (which is a total of 3″) from the pillowcase. Do this same procedure twice, creating two strips of material. Cut the seam from the side of your strips, opening them flat. 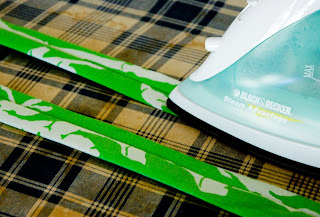 Iron the strips with right sides together. Sew the strips separately with the right sides together, allowing for a 1/4″ seam. Turn the strips inside out (I use a chopstick to shove the material through) and iron flat. These strips will facilitate both the halter and your belt. 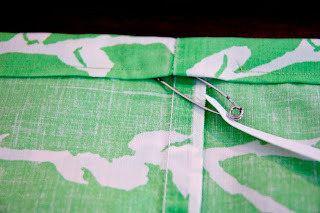 Fold the material on the bottom of your pillowcase over 1/4″ and iron flat. 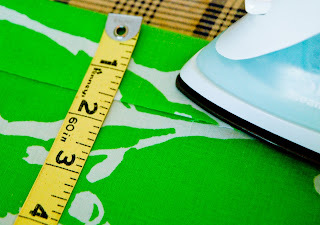 Next, fold the material 1″ more and iron flat. Sew what will be your top hem, leaving an opening for the elastic. Measure your chest (above your breasts) and subtract 6″. This will be the amount you will need of elastic. I needed 25″ of elastic (now you know all of my secrets). Once your elastic has been fed through the top hem, sew the two ends of the elastic together. Next, sew the opening closed in your top hem. Slip on your halter dress and find the center at the top of your dress. Measure from center, around your neck and then back to center. I needed about 22″ of material for my halter. Using one of your strips, cut the amount needed for your halter, saving the excess. 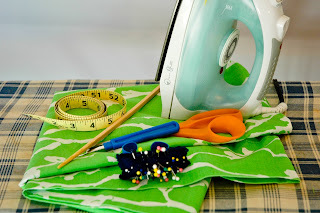 Sew your halter onto the center of your pillowcase (my center was at 9 1/2″), making sure not to sew onto the elastic, following the same seam line as before. 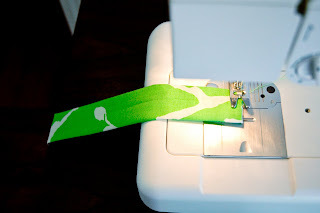 Feed the excess of your cut strip into the untouched strip and sew it together. Sew each end closed of your now one complete strip. This will be your belt. Slip on your dress, tie the belt and enjoy! 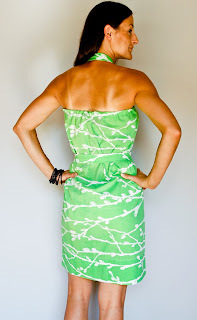 Here is the front of my very Vintage Pillowcase Halter Dress. And here is the back of my comfy dress. Please ignore the awful tan lines. I tried to keep the post simple, so if you have any questions, or need further instructions or pictures-stop by Potholes and Pantyhose. I would love to hear from you! Thanks Ashley for having me. 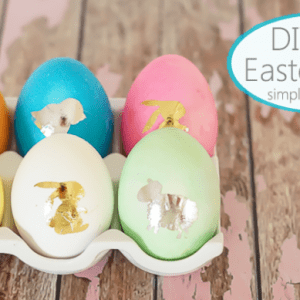 I really enjoy guest posting for you and your readers! Well that is awesome! I love the color too. Thanks for the tute I&#39;ll have to try this! 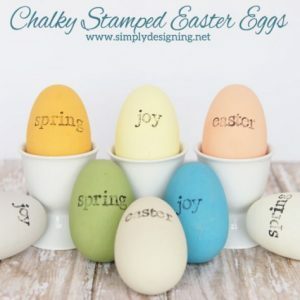 Thanks again, Ashely for allowing me to infiltrate your blog today! <br />You are awesome!! !